← Do they not Realize that We are Children of the Same God? All of us want a Free and Open Internet! Over the years, most of us, if not all, have spent millions of hours in front of the computer, inclined ourselves with the advancement and innovations of the modern world, and enjoying free knowledge. Technology, specifically the internet, has been a form of lifestyle that almost all of us adhered to. But what if all of a sudden, all these free knowledge that we obtain through accessing the internet was put to a halt because of some laws being passed in the U.S. Congess? Can you imagine an entire internet domain, that used to be open and free, being blocked due to seemingly infringing material posted on a single blog or webpage? This is just one of the many controversial underlying issue the Stop Online Piracy Act (SOPA) and its sister Act, Protect IP Act (PIPA) contains. Wikipedia, as one of the major antagonist of the Acts, said that SOPA expands the ability of U.S. law enforcement to online trafficking in copyrighted intellectual property and counterfeit goods. Provisions include the requesting of court orders to bar advertising networks and payment facilities from conducting business with infringing websites, and search engines from linking to the sites, and court orders requiring Internet service providers to block access to the sites. 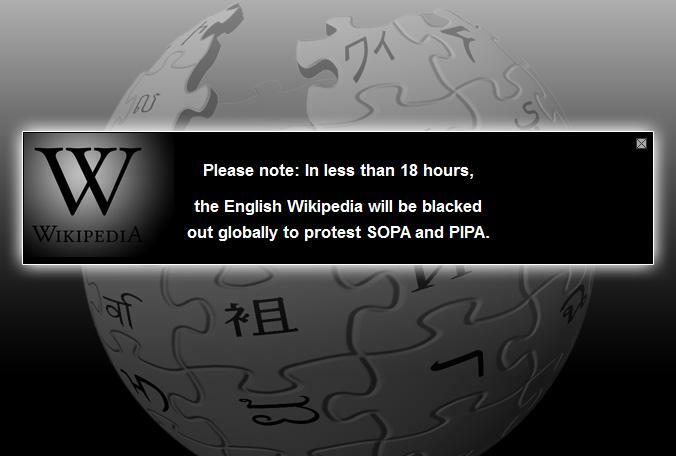 In an effort to raise awareness on the issue, the English Wikipedia and an estimated 7,000 other smaller websites coordinated a service blackout, or posted links and images in protest against SOPA and the U.S. Senate bill, PROTECT IP Act (PIPA). In excess of 160 million people who saw Wikipedia’s banner, a number of other protest actions were organized; including Google saying it collected over 7 million signatures. The Electronic Frontier Foundation, a rights advocacy non-profit group, confirmed the protests were the biggest in Internet history, with over 115 thousand sites altering their web pages. The protest was effective. Many people logged on to the websites of their Senators that several crashed. In fact, I myself experienced and was affected by the black-out. 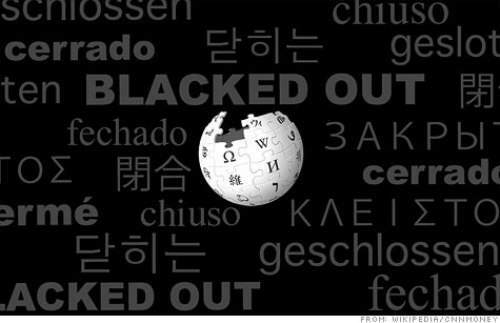 I was researching then about some articles that can be of help in my assignment, only to find out that Wikipedia is black-out for 24 hours. During those times, I realized how difficult life of people would be if SOPA and PIPA will be approved. Students will go back to the old ways of extracting the limited parchment of encyclopedias and privacy on our Facebook messages is no longer guaranteed. Millions of us want a free and open Internet; then let us do our part to make it a haven of knowledge available for all. Posted on January 19, 2012, in Fairness, Human Rights, NEWS, Uncategorized and tagged black-out, Internet, IP, PIPA, SOPA, wikipedia. Bookmark the permalink. Leave a comment.